Washtenaw Community College’s online tuition is among the most affordable in the country. 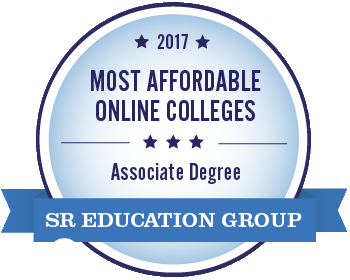 That’s why WCC is consistently recognized as one of the most affordable online college’s by SR Education Group. WCC’s out-of-district online tuition rate is only $115 per credit hour. Students that choose WCC for online classes can save more than $10,000 on a two-year associate degree compared to the national average online tuition rate of $286 per credit hour*. Washtenaw Community College offers 31 degree programs that are available completely online in Information Technology, Business and Transfer Programs designed to seamlessly transfer to a four-year degree. Online classes represent the ultimate in convenience. You can access your classes and course information at any time, as long as you have a computer or device with a high-speed internet connection. Fitting school in around work and family responsibilities can be a real challenge. Online education offers students the opportunity to study whenever it fits into their lives—whether that’s at 5 a.m. before the kids wake up, on their lunch hour, or for a few hours late at night. Online education allows students to fit education into their lives instead of re-organizing their lives around education. WCC graduates have knowledge and skills… We GUARANTEE IT! Washtenaw Community College’s Assurance of Student Success board policy guarantees that all WCC degree and certificate graduates will have the knowledge and performance skills required for their major program or entry-level employment. See wccnet.edu/guarantee for more information. Source: U.S. News and World Reports.